Stefan&Katherine. . HD Wallpaper and background images in the Delena & Steferine club tagged: vampire diaries katherine pierce stefan salvatore steferine wallpaper 2x04 2x07. 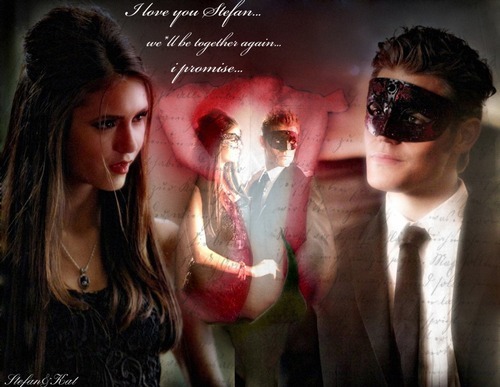 This Delena & Steferine photo contains occhiali da sole, occhiali scuri, ombre, and sfumature. There might also be ritratto, headshot, primo piano, and closeup.